Fresh from the press! Why do beautiful sketches look beautiful? How can you make learning sketching more enjoyable? Our revolutionary book on sketching is distributed by BIS, one of the most renowned design book publishers of The Netherlands. Some people make fast, nonchalant sketches which look great. Others sweat for hours to make accurate drawings, yet those might look unprofessional. Why is that? People who cannot draw well usually think that professional sketching is a complex and difficult process. 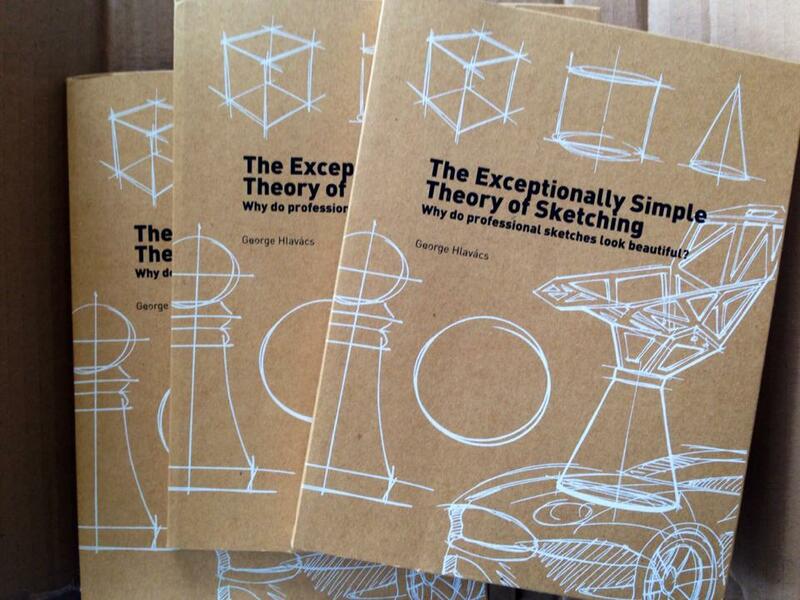 However, after reading this book you will see that even the most complex sketches are just a structure of very simple, yet confidently drawn segments built on each other. The author shows which features exactly make drawings look professional and how you can implement those in your own sketches. The book provides you with a very short course, which does not teach you all the details and techniques of sketching, as they are elaborately covered in our other sketching books, but will teach you in a very simple way how to make your sketches look beautiful.